The E60 generation BMW M5 was powered by a motorsports derived V10, intended to link the BMW Formula 1 powerplant with something street driven, although in reality it shared zero components and architecture. The E60 M5 was the fastest 4-door sedan available when new and it continues to be a brutally fast automobile even when compared to the latest from Germany. 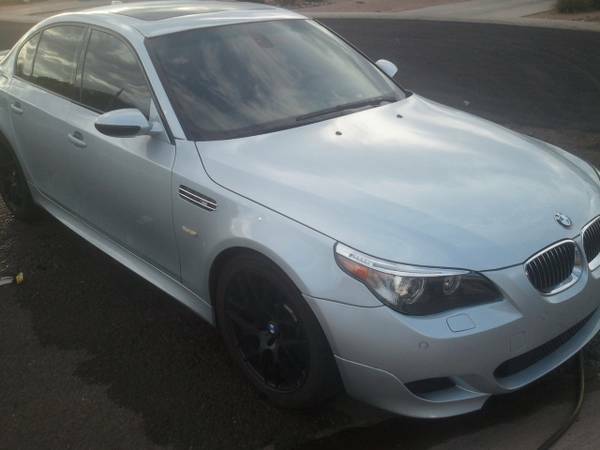 Find this 2007 BMW M5 with 6-speed for sale in Phoenix, AZ for $23,900 or best offer via craigslist. The E60 generation is one of the sweetest sounding M5s you can find; the latest generation (F10) has gone to a twin turbocharged V8 with a much muted soundtrack. The 5.0 liter S85 V10 puts out 500 horsepower and 380 ft-lbs of torque in a melodious crescendo up to its 8250 rpm redline. Bonus points: this E60 is equipped with a proper 6-speed shift-it-yourself (SIY) transmission. 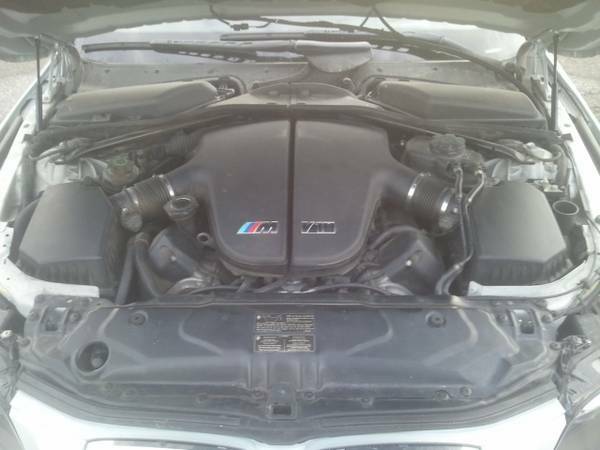 Love the M5's, but a salvage title on a E60. Yikes! Bonus points for the car seat in the back seat. "Let's go weeeeeee again, Daddy!" Yikes, indeed. Good friend just had to replace ENTIRE ENGINE at 66k miles after some valve train mishap (a brilliant attorney, she isn't the most mechanically inclined and further questions by me as to the true nature of the diagnosis were met with a shrug).